eatmorekix quotes Vice: It only took around ten seconds. 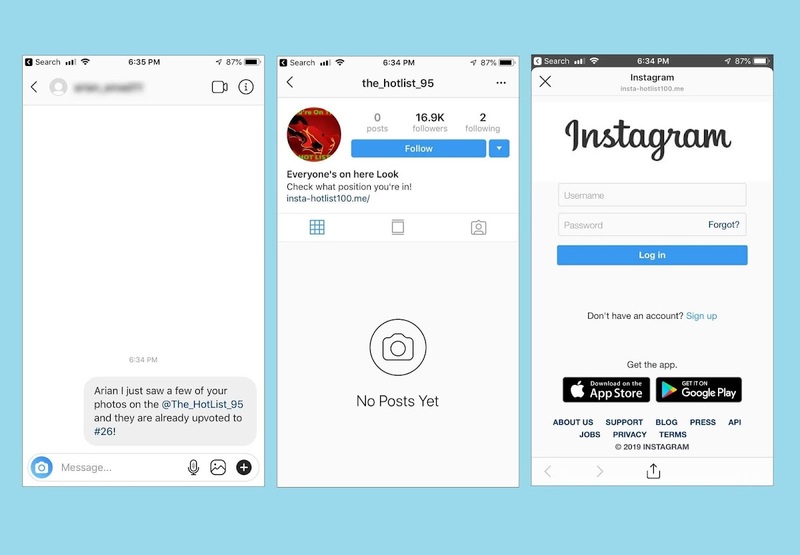 On Wednesday, I created a fresh Instagram account, and followed 'Beware the Needle', a user with 34,000 followers which posts a steady stream of anti-vaccination content. I also followed the user's "backup" account mentioned in its bio, the creator clearly aware that Instagram may soon ban them. Instagram's "Suggested for You" feature then recommended I follow other accounts, including "Vaccines are Genocide" and "Vaccine Truth." I followed the latter, and checked which accounts Instagram now thought would be a good fit for me: another 24 accounts that were either explicitly against vaccinations in their profile description, or that posted anti-vaccine content.